The proforma Application will be available on Commission’s Website (www.psc.ap.gov.in) from 11/11/2016 to10/12/2016 (Note:10/12/2016 is the last date for payment of fee up- to 11:59 mid night). The Commission conducts Screening test in Off- Line mode in case applicants exceed 25,000 in number and likely to be held on 26/02/2017FN. 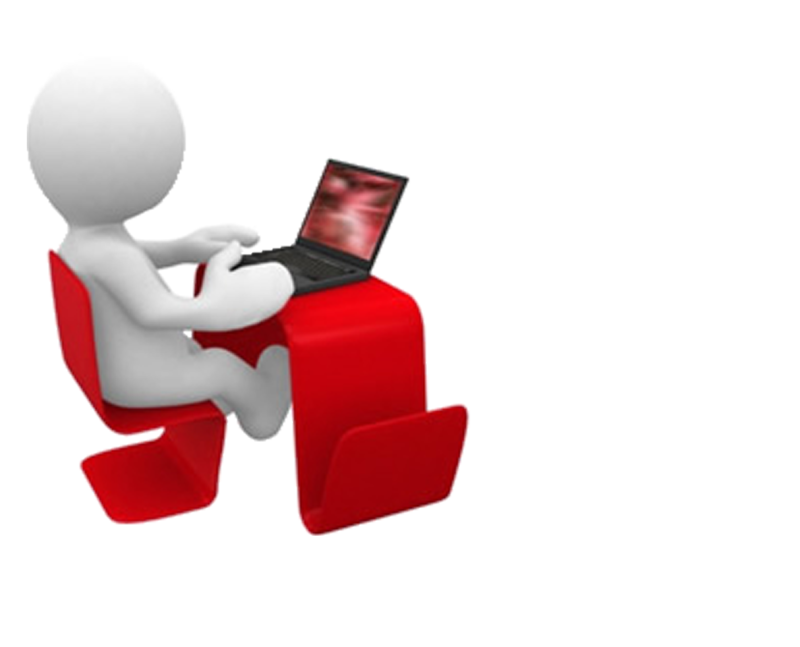 The objective type question papers are to be answered on computer system. Instructions regarding this computer based recruitment test are detailed in the Annexure - III. A.P. Municipal Commissioner Subordinate Service. & Employment Sub- ordinate Service. Extension Officer in PR & RD Department. Assistant Section Officer (GAD) in A.P. Dept.,) in A.P. Legislature Secretariat Service. Senior Accountant in A.P. Treasuries & Accounts (HOD) Sub Service. Senior Accountant in A.P. Treasuries & Accounts (District Sub Service. IMPORTANT NOTE: Distribution of vacancies among roster points is subject to variation and confirmation from the Unit Officer/ Appointing authority. Asst. Commercial Tax Officer in A.P. Commercial Taxes Sub- ordinate Service. A.P Registration Sub - ordinate Service. Note: Preference shall be given to persons, who in addition to the above qualifications possess a degree in Law of a University in India established or incorporated by or under a Central Act, State Act or a provincial Act or an Institution recognized by the U.G.C or any other equivalent qualifications. Must Possess a Bachelor’s Degree from any University in India established or incorporated by or under a Central Act, State Act or an Institution recognized by the University Grants Commission. Assistant Labour Officer in A.P. Labour & Employment Sub- ordinate Service. Must Possess a Bachelor’s Degree of University in India established or incorporated by or under a Central Act, or Provincial Act or a State Act or any other equivalent recognized qualification. Assistant Section Officer (Finance Dept.,) in A.P. Provincial Act or a State Act or an Institution recognized by the University Grants Commission or an equivalent qualification. Must Possess a Bachelor’s Degree in Law from any University in India established or incorporated by or under a Central Act, Provincial Act or a State Act or an Institution recognized by the University Grants Commission or an equivalent qualification. Must have passed in Commerce or Economics or Mathematics of any University recognized by the U.G.C. 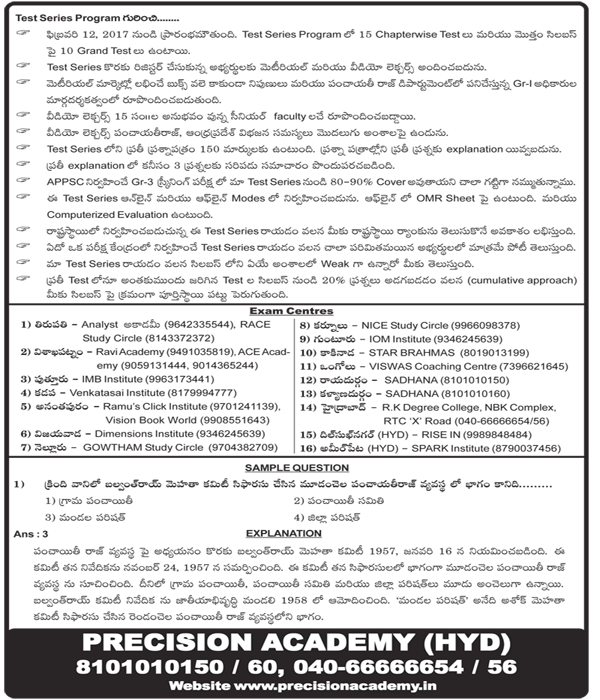 Pass in any one of the following Certificate Course Examination conducted by the Board of Technical Education and Training, A.P., Hyderabad. Central Act, Provincial Act or a State Act or an institutions recognised by the University. B.E with Computer Science or information Technology equivalent examination of above, recognised by any University in India established or incorporated by or under Central Act, Provincial Act or a State Act or an institutions recognised by the University. State Act or an Institution recognized by the University Grants Commission shall also be eligible for appointment by Direct Recruitment on and from the 25th June, 1979 to the post Sr. Accountants. Pass in any one of the following certificate course examination conducted by the Board of Technical Education and Training, A.P, Hyderabad. · PC Maintenance and Trouble Shooting. B.Tech./ B.E. with Computer Science or Information Technology equivalent Examination or above, recognized by any University in India established or incorporated by under a Central Act, Provincial Act or a State Act or an Institution recognized by the University Grants Commission. Junior Assistants in A.P. Women Development Child welfare Department. Junior Assistants in A.P. Drugs & Copy Rights Department. Junior Assistant in A.P. Agriculture Department. (Chief Commissioner of Land Administration). Junior Assistant in A.P Prohibition & Excise Department. Junior Assistant in A.P sugar and Cane Department. PARA-3 AGE: No person shall be eligible for direct recruitment if he/she is less than 18 years of age and if he/she is more than 42 years of age as on 01/07/2016. After provision of the relaxation of Age in Col. No. 3 of table above; the age shall not exceed the maximum age prescribed for the post for the candidates at Sl. No. 3 & 4. The age relaxation for Ex-Servicemen is applicable for those who have been released from Armed Forces otherwise than by way of dismissal or discharge on account of misconduct or inefficiency. · "LOCAL CANDIDATE" means a candidate for direct recruitment to any post in relation to that Local area(s) where he/she has studied in Educational Institution(s) for not less than four consecutive academic years prior to and including the year in which he/she appeared for S.S.C or its equivalent examination. If however, he/she has not studied in any educational institution during the above four years period, it is enough if he/she has resided in that area which is claimed as his/her local area during the above said period. · In case a candidate does not fall within the scope of above then, if he/she has studied for a period of not less than seven years prior to and inclusive of the year in which he/she has studied SSC or its equivalent, he/she will be regarded as local candidate on the basis of the maximum period out of the said period of seven years AND where the period of his/her study in two or more local areas is equal such local area where he/she has studied last in such equal periods will be taken for determining the local candidature. Similarly, if he/she has not studied during the above said period in any Educational Institution(s) the place of residence during the above period will be taken into consideration and local candidature determined with reference to the maximum period of residence or in the case of equal period where he/she has resided last in such equal periods. · If the claim for local candidature is based on study, the candidate is required to produce a certificate from the Educational Institution(s) where he/she has studied during the said 4/7-year period. If, however, it is based on residence, a certificate should be obtained from an officer of the Revenue Department not below the rank of a Mandal Revenue Officer in independent charge of a Mandal. · If, however, a candidate has resided in more than one Mandal during the relevant four/seven years period but within the same District or Zone as the case may be separate certificates from the Mandal Revenue Officers exercising jurisdiction have to be obtained in respect of different areas. (A) Single certificate, whether of study or residence would suffice for enabling the candidate to apply as a "LOCAL CANDIDATE". (B) RESIDENCE CERTIFICATE WILL NOT BE ACCEPTED, IF A CANDIDATE HAS STUDIED IN ANY EDUCATIONAL INSTITUTION UPTO S.S.C. OR EQUIVALENT EXAMINATION, SUCH CANDIDATES HAVE TO PRODUCE STUDY CERTIFICATES INVARIABLY. THE CANDIDATES, WHO ACQUIRED DEGREE FROM OPEN UNIVERSITIES WITHOUT STUDYING SSC/ MATRICULATION OR EQUIVALENT IN EDUCATIONAL INSTITUTIONS, HAVE TO SUBMIT RESIDENCE CERTIFICATE ONLY. EDUCATIONAL INSTITUTIONS MEANS A RECOGNIZED INSTITUTION BY THE GOVERNMENT / UNIVERSITY/COMPETENT AUTHORITY. (D) At the time of verification, candidates who have migrated from Telangana to Andhra Pradesh in between 2nd June, 2014 and 1st June, 2017 shall produce local Status certificate as laid out in circular memo No.4136/SPF & MC/2015-5, Dated.08/08/2016. II STEP: The applicant has to fill and submit Application and Click on the Link with Notification Number and Name, OTPR ID Number and Date of Birth to proceed further. · Applicant shall note that, the details available with OTPR database at the time of submitting the application will be considered for the purpose of this notification. If, any changes are made by the applicant to OTPR database at a later date will not be considered for the purpose of this Notification. · Hand written/ Typed/ Photostat copies/ outside printed Application Form will not be accepted and liable for rejection. advised to strictly follow the instructions given in the User guide before submitting the application. · All the candidates are requested to submit their application with correct data. · It is noticed that some of the candidates are requesting for change in the data, after submission of the application. It is informed that such requests will not be entertained after one week of the last date of submission for application. · The particulars furnished by the applicant in the Application Form will be taken as final, and data entry processed, based on these particulars. Candidates should, therefore, be very careful in Uploading / Submitting the Application Form Online. · INCOMPLETE/INCORRECT APPLICATION FORM WILL BE SUMMARILY REJECTED. THE INFORMATION IF ANY FURNISHED BY THE CANDIDATE SUBSEQUENTLY WILL NOT BE ENTERTAINED BY THE COMMISSION UNDER ANY CIRCUMSTANCES. APPLICANTS SHOULD BE CAREFUL IN FILLING-UP THE APPLICATION FORM AND SUBMISSION. IF ANY LAPSE IS DETECTED DURING THE SCRUTINY, THE CANDIDATURE WILL BE REJECTED EVEN THOUGH HE/SHE COMES TO THE FINAL STAGE OF RECRUITMENT PROCESS OR EVEN AT A LATER STAGE. · Before Uploading/Submission Application Form, the Candidates should carefully ensure his/her eligibility for this examination. NO RELEVANT COLUMN OF THE APPLICATION FORM SHOULD BE LEFT BLANK; OTHERWISE APPLICATION FORM WILL NOT BE ACCEPTED. · SC, ST, BC, PH & Ex-Service Men. · Un-employed youth in the age group of 18 to 42* years as per G.O.Ms.No.439, G.A. (Ser.A) Dept., dated: 18/10/1996 should submit declaration at an appropriate time to the Commission. · Applicants belonging to the categories mentioned above (except Physically Handicapped Persons & Ex-Service Men) hailing from other States are not entitled for exemption from payment of fee and not entitled for claiming any kind of reservation. i) The Fee mentioned in the above paragraph is to be paid On-Line using Payment Gateway using Net Banking/ Credit card / Debit Card. The list of Banks providing service for the purpose of online remittance of Fee will be appended separately. PARA-7: SCHEME OF EXAMINATION:- The Scheme & Syllabus for the examination has been shown in Annexure-II. In the case of objective type examination, the Commission would publish on its website, the key, after conduct of the examination. Any objections with regard to the key and any other matter shall be filed with in one week of the publication of the key on the website of the Commission. · Vacancies: The recruitment will be made to the notified vacancies only. There shall be no waiting list as per G.O. Ms. No. 81 General Administration (Ser. A) Department, Dated 22/02/1997 and Rule 6 of APPSC Rules of procedure. In any case, no cognisance will be taken by Commission of any vacancies arising or reported after the completion of the selection and recruitment process or the last date as decided by the Commission as far as this Notification is concerned, and these will be further dealt with as per G.O. & Rule cited above. · The Recruitment will be processed as per this Notification and also as per the Rules and Instructions issued by the Government and also as decided by the Commission from time to time in terms of respective Special Rules/ Adhoc Rules governing the Recruitment applicable in this regard. · Rules: The various conditions and criterion prescribed herein are governed by the General Rules of A.P. State and Subordinate Service Rules, 1996 read with the relevant Special Rules applicable to any particular service in the departments. Any guidelines or clarification is based on the said Rules, and, in case of any necessity, any matter will be processed as per the relevant General and Special Rules in force.